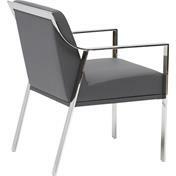 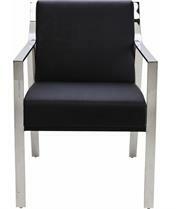 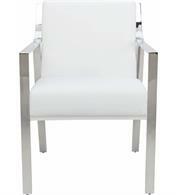 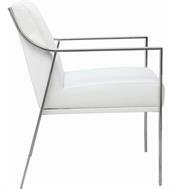 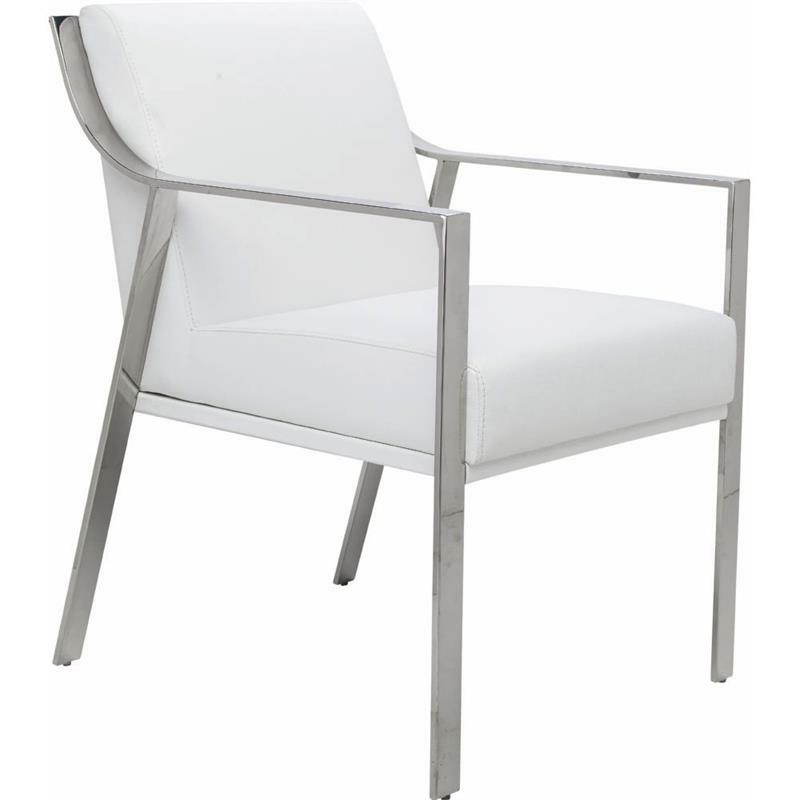 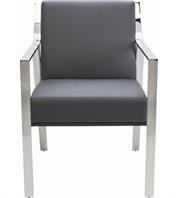 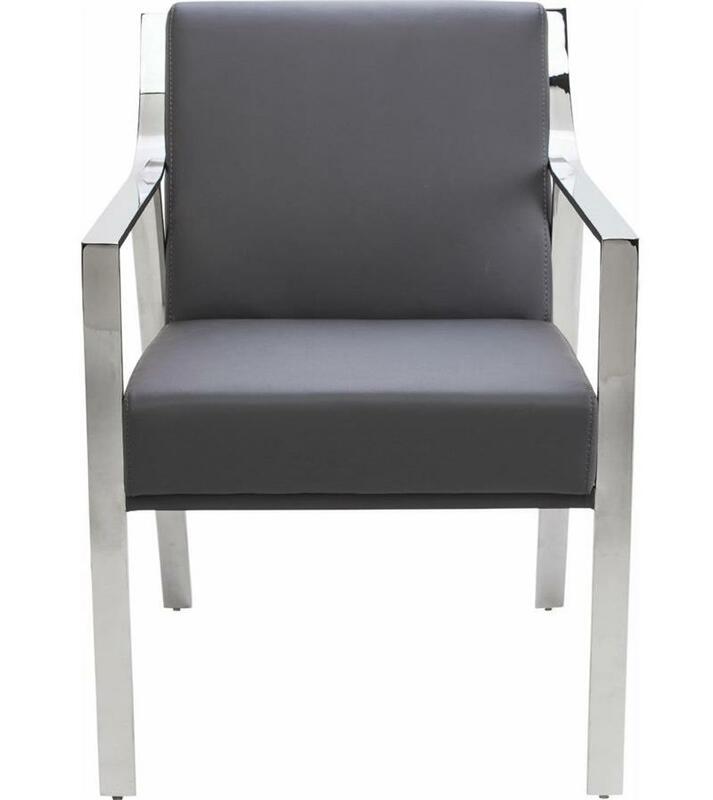 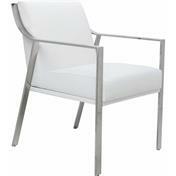 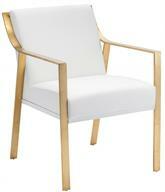 Valentine dining armchair has a classic design that will perfectly complement any lounge or dining area. 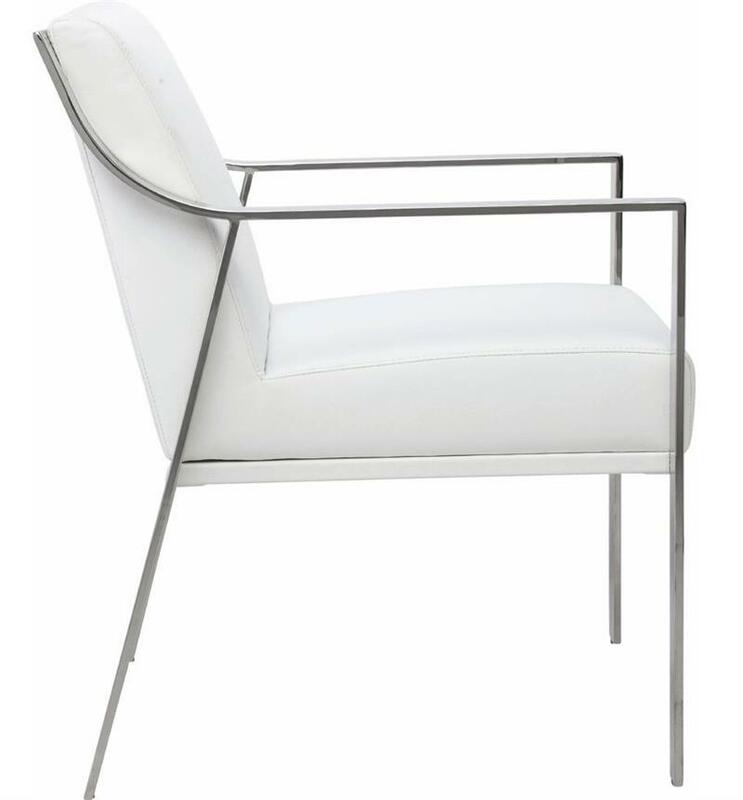 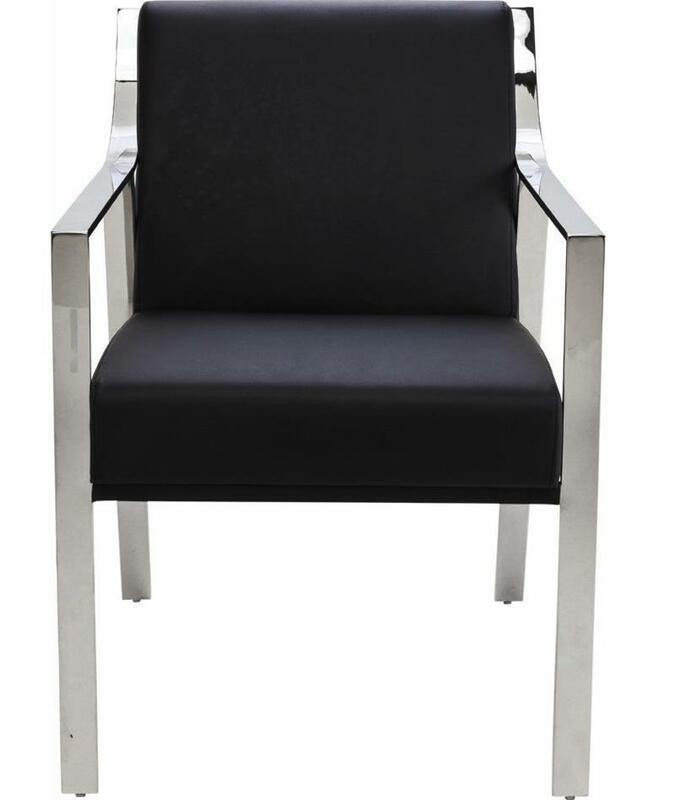 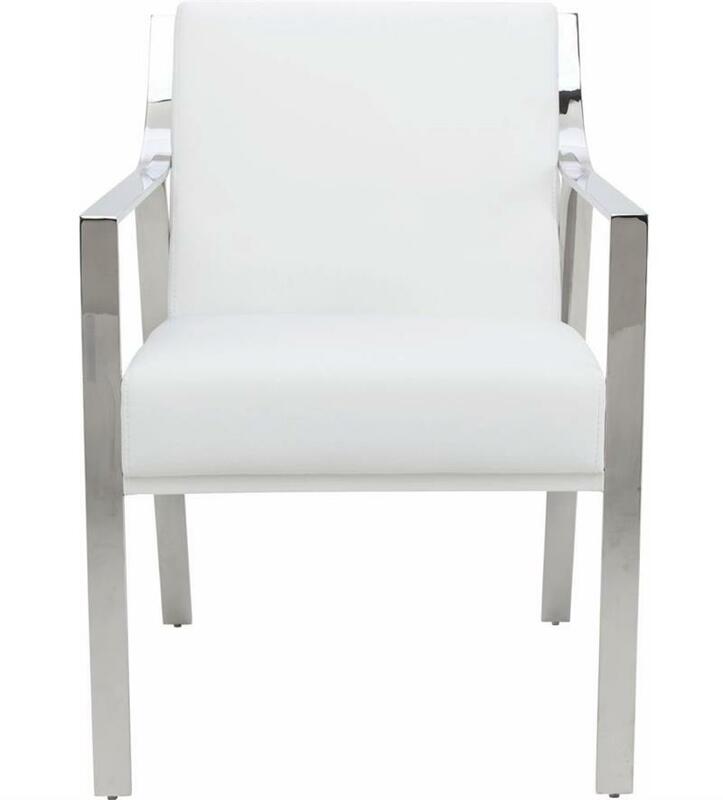 Built with high-quality craftsmanship, the Valentine dining armchair features polished stainless steel frame and a CFS foam padded seat covered in naugahyde leather which is available in white or black color. 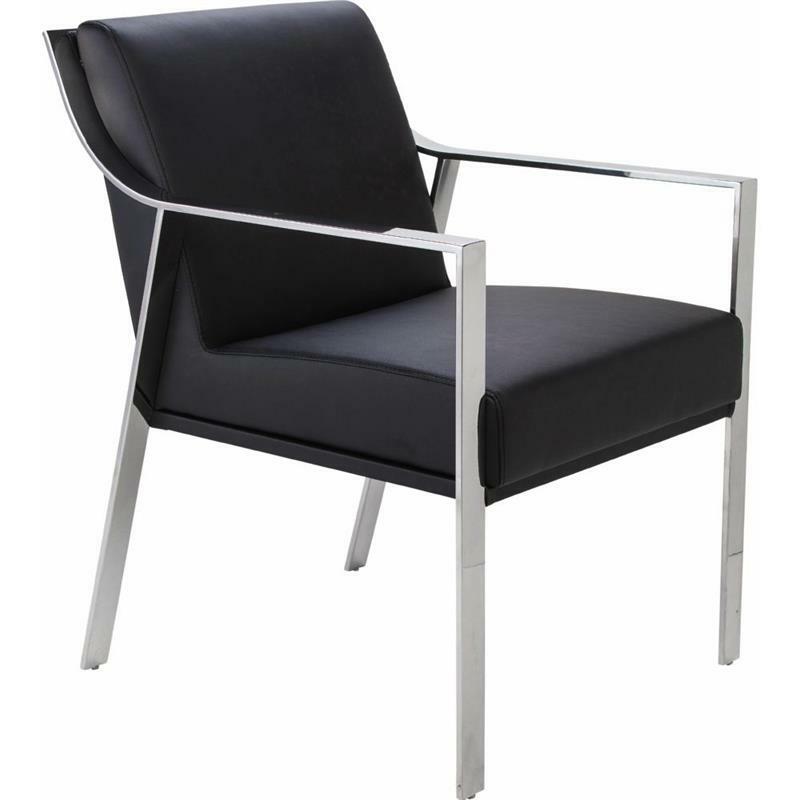 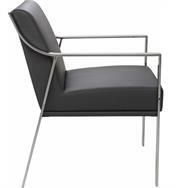 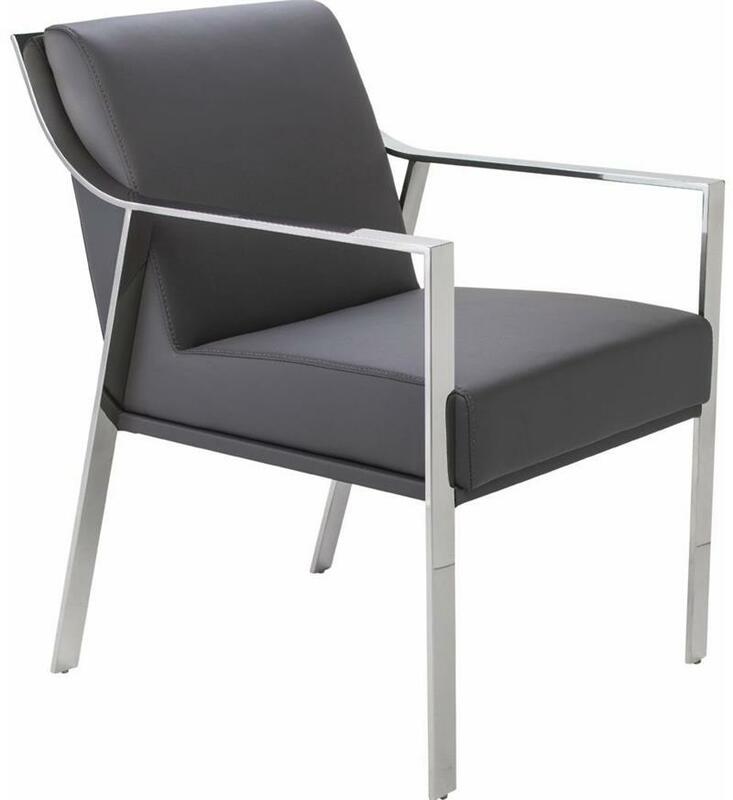 The Valentine dining armchair is not only sturdy and versatile but its also very comfortable.